M﻿indlin Consulting Group – a skilled collection of information technology specialists – boosts manufacturer ROI by bridging the gap between people and processes. To improve your returns, we start with a full analysis of your systems and processes. Our diagnostic determines what’s working, what isn’t, and what could be working better. In essence, this in-depth step delivers a roadmap on how to uncover, maintain and enhance the profitable aspects of your company. Here, we modify what you have, or implement our product solutions – like inControl – to optimize your systems. In either case, your business process will be accelerated, leading to faster production, less waste and increased revenue. Once your company is running at full speed, we implement a dashboard that visualizes data and reveals what’s working and what may need immediate attention. Our dashboard, like the one in your car, will alert you of problems before they stop you in your tracks. 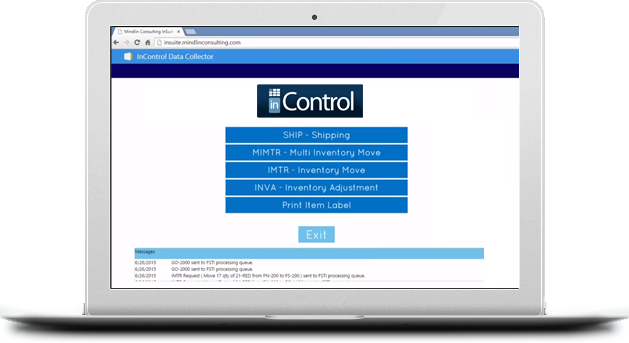 inControl is the data collection and workflow engine that can be integrated with your systems to provide customized and seamless solutions. In doing so, inControl optimizes your business processes to achieve the best results. Why is InRequest better than the rest?